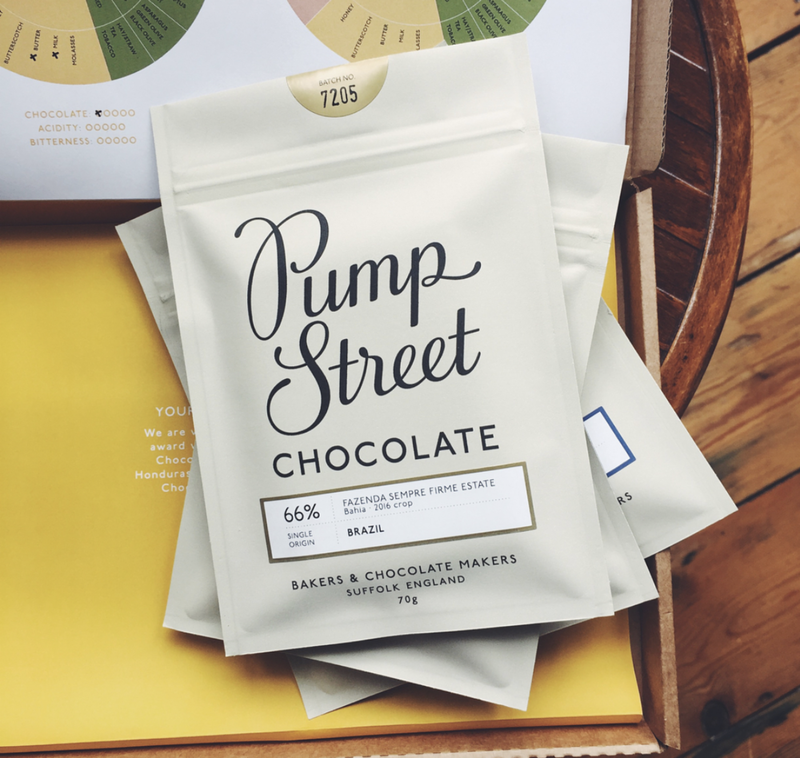 A Rare Batch is Pump Street Chocolate’s new and exclusive subscription club. Members receive four bars every other month, along with tasting notes to unwrap the stories behind each bar. We were asked to come up with the packaging; an insert that could fit into the small boxes alongside the four bars. Our solution was a folded sheet that wrapped around the bars, both protecting them and displaying the tasting wheels, notes and bar descriptions. Every other month the colour of the insert will change, ensuring that every delivery of a Pump Street Chocolate subscription box is a delight for the senses.